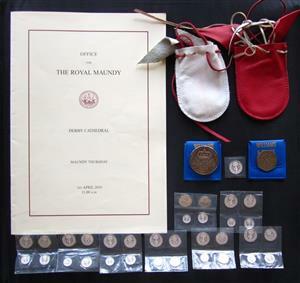 2010 Full distribution of Maundy money (84p). A rare opportunity to purchase the complete distribution given to a Maundy recipient at Derby Cathedral. Includes red and white leather purses tother with both 50p coin and crown.